To generate a portal to another “world,” users of a new augmented reality app must first scan the floor with their device. After positioning the portal in an area free of any mess, they can then walk directly into an immersive 360-degree experience. In other words, if you’ve ever dreamed of stepping into a wardrobe and finding yourself transported Narnia-style, you’re in luck. Portal AR, which is available now from the Apple App and Google Play Stores, is the first travel tool of its kind. The world at its purview is Scotland, which boasts attractions like Edinburgh Castle, former home of doomed ruler Mary, Queen of Scots; the shadow of Arthur’s Seat, an ancient volcano better known today as one of the city’s top hiking spots; and St. Andrews, birthplace of golf, which also houses the university where Britain’s future king and queen first met. According to “The Scotsman’s” Alison Campsie, the innovative app was launched as part of the country’s “Scotland Is Now” campaign. Designed in collaboration with Google, VisitScotland, the Scottish Government, Scottish Enterprise and Universities Scotland, its immersive features are intended to aid travelers planning trips to Scotland. On the app, VR experiences range from a paramotoring tour of Ben Nevis, Great Britain’s highest peak, to the eclectic collections housed in Glasgow’s Kelingrove Art Gallery and Museum. 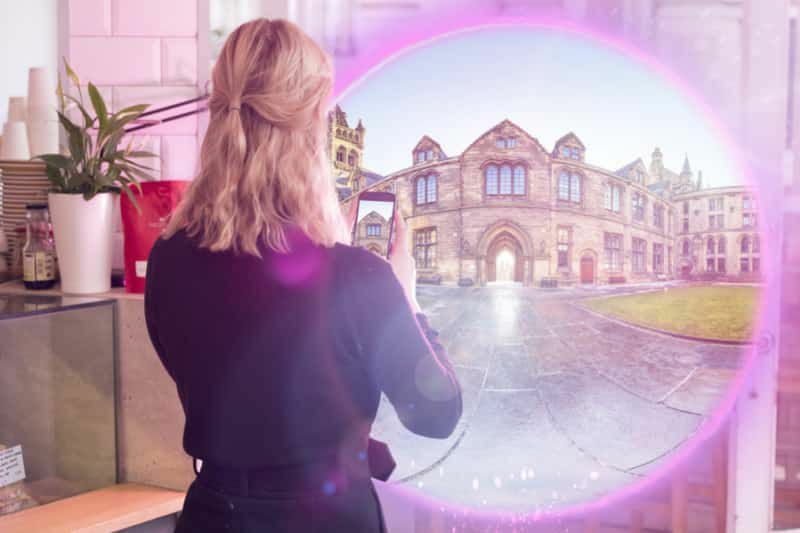 In addition to allowing users to virtually interact with the country’s landscape and history, Portal AR examines the ways in which Scots, live, work, invest and study. Voiceovers from locals complement video footage of subjects including a satellite-building facility in Glasgow, fashion classes at the Heriot-Watt School of Textiles and Design, and leisurely strolls along the Scottish shores. As Campsie notes, Portal AR isn’t Scotland’s first foray into groundbreaking mobile technology. In fact, back in 1999, communications company Orange helped the Edinburgh Fringe Festival launch one of the world’s first mobile apps, a guide to the annual arts show. The festival, which featured 53,232 performances of 3,398 shows in its 2017 incarnation, is, in fact, another one of the distinctive Scottish experiences highlighted by the new app. 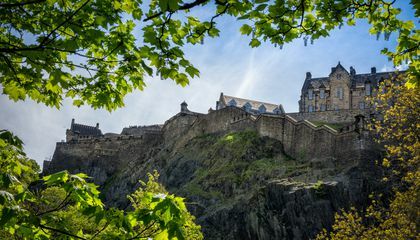 “The Scotsman’s” Brian Ferguson reports the central message of the $8 million “Scotland Is Now” tourism campaign, which launched in April, is one of inclusivity—touting the country as “one of the most open” in the world. This philosophy underlies the new AR experience, which will be continually updated as new content is developed. How do you think that an immersive augmented reality app might be helpful for travelers?